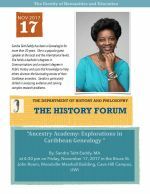 This lecture is presented by The University of the West Indies Department of History and Philosophy. 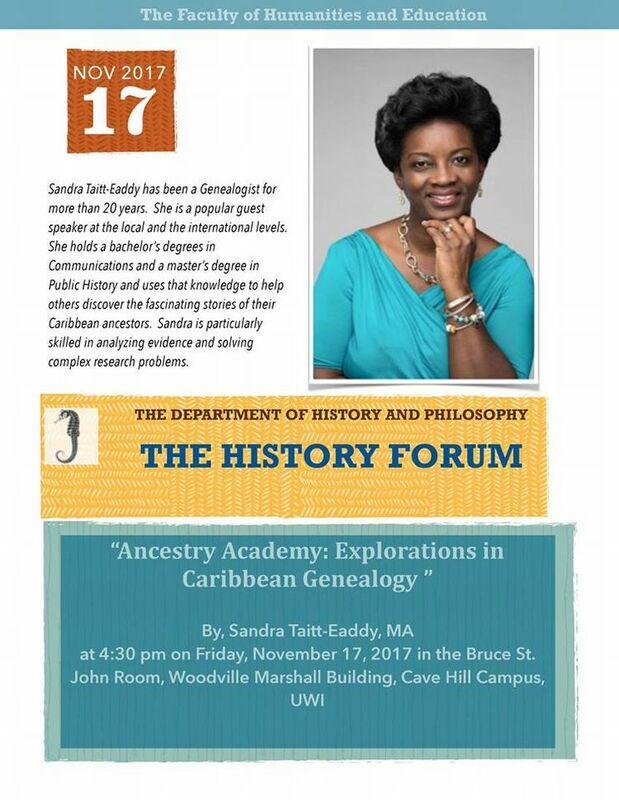 The lecture will be given by Mrs. Sandra Lovell Taitt-Eaddy, MA. The lecture will take place in the Bruce St. John Room, Woodville Marshall Building, Faculty of Humanities and Education, Cave Hill Campus.